Anyone who knows me, knows I love a good race. My dad is an IndyCar and Formula 1 fanatic (as well as competing in MotoX) so it was only natural to grow up with racing in my blood. I’ve attended every Formula 1 race at COTA so far and when I heard IndyCar was adding COTA to their circuit, life was complete. Verizon IndyCar Series drivers Tony Kanaan and Alexander Rossi participated in a Firestone tire test at the Austin, Texas, track. It was the first time Indy cars have been on the circuit, in advance of the race scheduled there in March 2019. Talk about exciting! 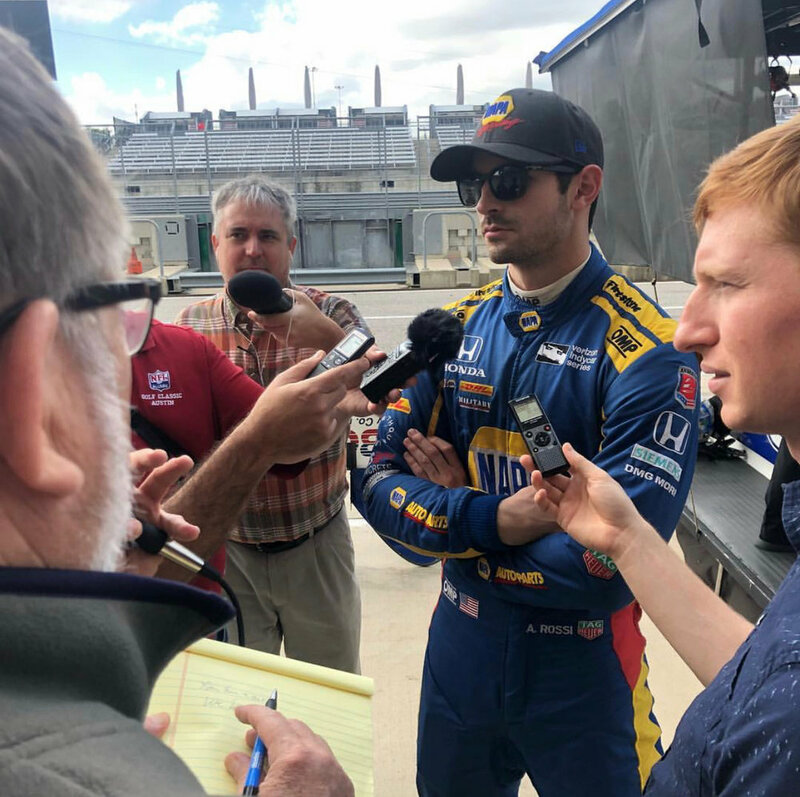 Alexander Rossi described his test for Firestone at COTA as “fantastic” and is convinced the IndyCar Series has made the right decision to race in Austin. The Andretti Autosport-Honda driver joined Tony Kanaan of AJ Foyt Racing-Chevrolet and an unnamed Carlin Racing-Chevrolet driver for the test at the 20-turn 3.426-mile facility in Austin, TX., and completed 90 laps. “With the various programs Tony and I were doing, it was hard to tell where we were at comparatively,” Rossi said. “But I can tell you that our car around that track is awesome! I had a smile on my face for the entire 90 laps and the package is great. It’s challenging, it’s technical, but there’s also a lot of high-speed corners. It’s a perfect circuit for us. IndyCar makes its COTA debut on March 22-24, 2019. Make sure you stay up to date with ticket information over at Circuit of the Americas.